Amendments to the Labour Law from 2014 introduced the Article 191 Paragraph 7, which stipulates that if during proceedings the court finds that grounds for termination of employment existed, but that the employer failed to observe the provisions of the law that prescribe the procedure for termination of employment, the court shall reject the employee’s request to be returned to work, and shall order the employer to pay the employee compensation of damages amounting to up to six salaries of said employee. 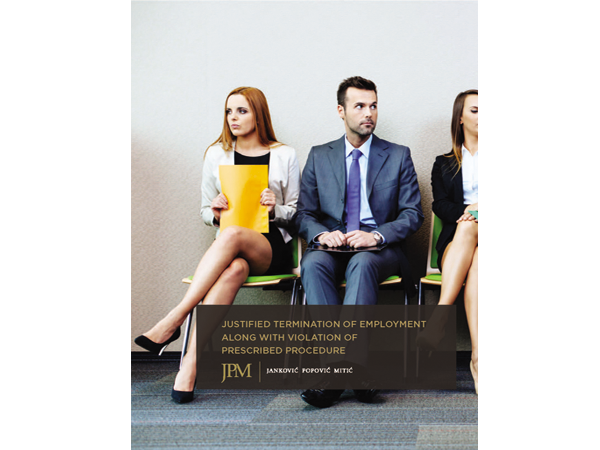 But what exactly is meant under the term „procedure for termination of employment“? Is there any case law yet and what does the practice say, you can find out in our new Article.